I will suppose you have a Windows Server in your business environment as this is mostly the case. 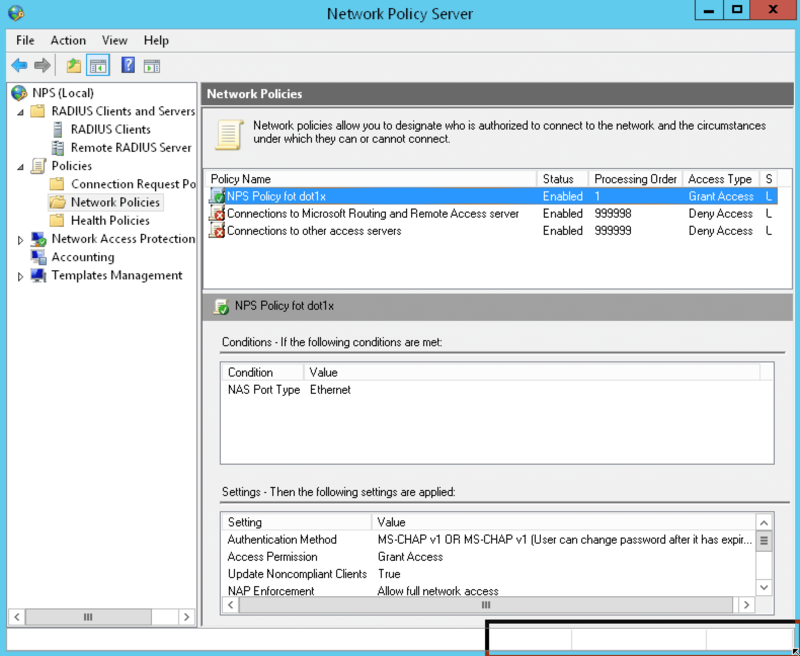 The NPS Network policy role needs to be configured on Active Directory server and network access policy needs to be created in order to enable that server to be an authentication server. One more thing, which is additional security feature against bogus radius clients. Every device which will use this radius server as authentication server needs to be configured on that server as radius client. So every switch that is configured for dot1x and sends request to our Radius server needs to be added to that server as radius client. This is done by giving to the server switch’s IP address and shared key. Note that ip radius source-interface loopback 1 will be some other interface with IP address configured on your switch. 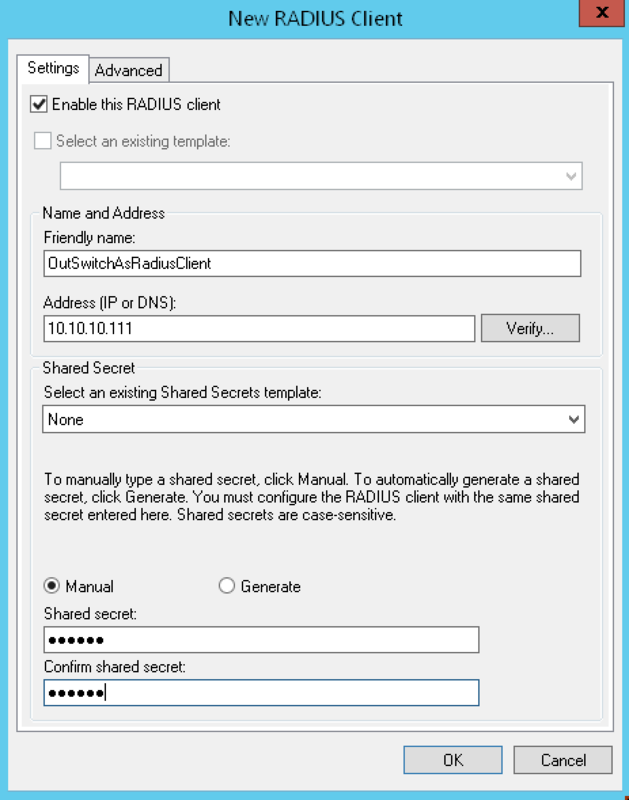 This is the address of radius client that you configure above on Radius server in radius client setting. It’s the 10.10.10.111 address. That will do. We configured radius server on the switch with his IP address and radius client pre-shared key (same one configured on server side above). After that we enabled dot1x authentication altogether inside aaa new-model global aaa authentication settings. For the end we enabled GigabitEthernet 1/1 interface to run dot1x for clients connected to it. If someone connects to Gi1/1 with his Windows machine or any other device, it will only get connectivity if it supports dot1x and has the credentials needed to authenticate with radius server. More additional options are available on how to proceed with unauthenticated users and what to do with different kinds of clients connected. I added more complicated dot1x switch config in a separate article that will be published soon for more enthusiastic part of audience. It’s simple windows machines do not run Wired AutoConfig service by default so dot1x is disabled on them by default. You should change the setting on that service from stopped to automatic and restart your computer in order to get going with dot1x. After that, the chance is that everything will work fine and credentials will be asked to be entered every time you connect to access port on the wall inside your organisation. Ahhh…don’t you have to configure switchport with dot1x?